Dimensions: 8ft. 4in. x 8ft. 2in. Victor Vasarely shunned subjects or themes which involve a narrative of any kind in favor of what he called “color-form”. The less “color-form” in a plane surface, he believed, the greater the beauty, color and “correctness” of that surface. 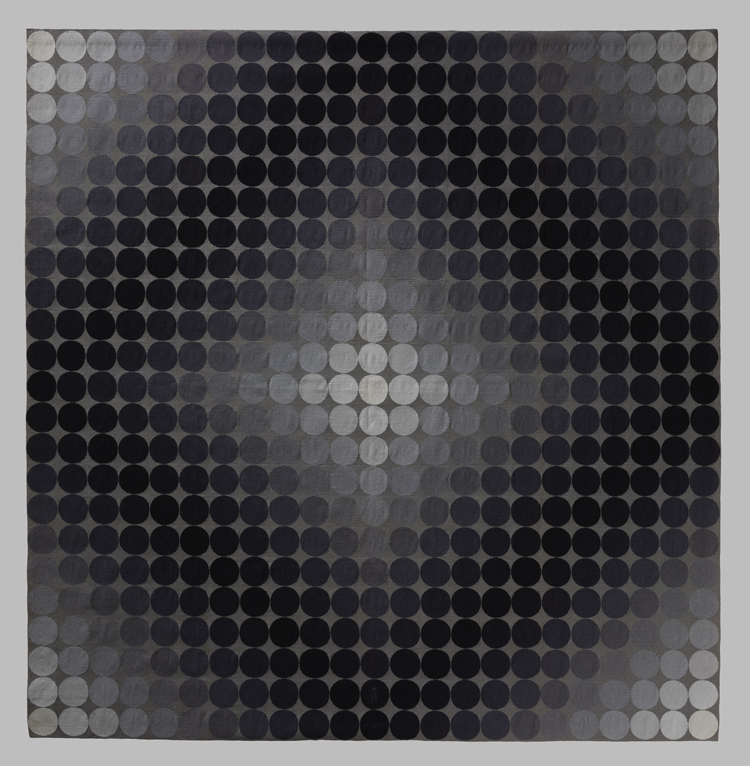 Vasarely’s use of color is often reduced to a minimum of two to five shades, making his work a stark contrast to that of Jean Lurcat who often used in excess of twenty different threads to create volume and depth. His compositions do not use broken lines or color gradations but clear-cut contours, pure tones, and abstract, geometrical or imaginary forms which pulse to the rhythm of mid-century Constructivism.